It is the greatest riddle in the Bible. It is also the key insight conveying the context of the whole message of the scripture. What am I talking about? Mystery Babylon. What is Mystery Babylon? Why does the Bible call it, Mystery Babylon? When did this “cosmic colossus” appear? Does it still exist today? Will it exist again in the future? How does it relate to the Kingdom of God? What does it tell us about where we are in the prophetic timeline of events soon coming to pass on the earth? A new book, The Babylon Code: Solving the Bible’s Greatest End-times Mystery (Faith Words) by eschatology pundit Paul McGuire and award-winning and Pulitzer Prize nominated journalist Troy Anderson, delves into these questions with an earnestness and candor that few prominent persons teaching today about eschatology are willing to attempt. 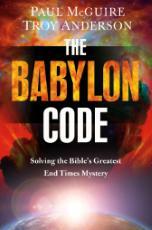 In short, The Babylon Code seeks answers to the issues raised above by zeroing in on the riddle of “Mystery, Babylon”. They more than do the questions justice in their comprehensive investigation and in depth analysis. I had the pleasure of spending two days with Paul McGuire during the week of October 19, 2015. The occasion was to interview Paul extensively on behalf of the ministry of Prophecy in the News. Regular host Kevin Clarkson was called out of town unexpectedly and requested I substitute as they were “in a pinch”. It was a much-appreciated summons for me for several reasons. One of those was just to get the opportunity to spend time with Paul McGuire. I knew Paul casually from previous conferences where we had shared a podium. I soon discovered however, that Paul and I are kindred spirits on so many levels. Having myself written extensively on Mystery Babylon in several of my books, we had some deep discussions during our taping four, 28-minute programs that will air during the months of November and December (they will also be viewable at the Prophecy in the News website, www.prophecyinthenews.com a bit after their respective television runs across the country). I also communicated with Troy Anderson during Paul’s visit. I know Troy from several phone conversations we’ve had. Troy interviewed me extensively for The Babylon Code over a year ago and quoted my words from the interview numerous times in the book, along with citations from two of my books Lying Wonders of the Red Planet and The Final Babylon, I co-wrote with Douglas W. Krieger and Dene McGriff. I was one of over 100 interviews Troy carried out. One of the stylistic features of the book has to do with Troy incorporating his investigative journalistic skills, along with scores of quotations from many different sources, those friendly to the Bible’s eschatological point of view as well as other experts who are highly regarded in their respective fields, but not necessarily favorable toward a biblical perspective. The Babylon Code, whether dealing with “friend or foe” treats all its sources fairly and from my personal example, accurately. Is it possible that God embedded a code in the Bible that could only be cracked in the end times? What if by decoding this prophetic cryptogram we could unlock the secret to both our salvation and our survival? Readers will ultimately have to decide for themselves whether Paul and Troy deliver the goods on answering these questions; however, there is no debating that they attempt to do so with a “no holds barred” approach that easily takes them into the deep waters of conspiracy theories as well as alarming assertions contained within the many citations and their “telling it like it is” analysis. We will discern their direct approach even in this book review. 4 in 10 Americans and 77 percent of evangelical Christians believe the “world is now living in the biblical end times”. 80 percent of Americans fear a second holocaust in Israel and 68 percent fear a “nuclear holocaust” in the U.S. while 84 percent of Americans fear ISIS will soon launch terrorist attacks inside the U.S. Meanwhile, 28 percent of American voters believe a secretive power elite with a globalist agenda is working to create an authoritarian world government. 40 percent of Republicans agree. 19 percent of Americans believe secret societies such as Yale’s Skull and Bones produce American and political and financial leaders to serve the wealthy elite. 17 percent of voters think a group of world bankers is slowing eliminating paper currency to create a cashless society and global economic system. Apparently, despite what the oft-vocal critics may say, conspiracy theorists constitute a large section of American society. Personally, I would speculate that embedded in these numbers is a deep-seated cynicism regarding politicians not telling us the truth and disingenuously “seeking out our best interests”. Truly, this state of affairs constitutes the greatest tragedy in the political establishment of our day – and it is made far worse by the unwillingness of congressional leadership to “call a spade a spade”, demand dramatic reform in term limits, and establish better regulations for political donations. Career politicians and how they are elected, more often than not, constitute the bane of our American system. Nations drown in unparalleled debt. Fears of hyperinflation and economic collapse. ISIS’ warnings to the West that they intend to bring about Armageddon for the non-Islamic world. Iran may already have nuclear weapons and may use them against Israel or the U.S. The World Economic Forum indicates that unprecedented natural disasters, e.g., global drought, mega-earthquakes, tsunamis, the Yellowstone super-volcano… are real threats. Solar Storms intensifying weather systems like (F5) tornadoes and category five hurricanes. During our interview, I brought these points out and then asked Paul if he really believed that “times are tougher” now and that we really are perched on the precipice of the apocalypse. The response he fired back was very much on point. Paul indicated that the real difference is today’s technology, how fast decisions are made and how far-reaching those choices are, whether we are dealing with the matter of a cashless society and economic control, the vast effects of weapons of mass destruction, and the efficacy (or lack thereof) of measures to deter massive epidemics. Moreover, when one considers the recent disclosures regarding the NSA and its “invasion of privacy,” the reality of “Big Brother” watching us is no longer Orwellian fiction. We are living the nightmare today in the name of protecting society from terrorism. Other topics such as the coming of Ray Kurzweil’s “singularity” and covert advances in so-called transhumanism also threaten the sovereignty of the individual and the sanctity of the human race. In short, the “imminent great extinction event” now discussed by scientists, short of a biblical rescue via the Second Coming of Christ, comprises an outcome that the odds seem to favor. Armageddon is more than a biblical allusion to the book of Revelation and a literal valley in northern Israel. It is frequent metaphor representing our dismal near-term future employed by many intellectuals in our day. But another crucial way to get up to speed on what Mystery, Babylon comprises is to grasp the essentials about the previous Babylons of the Bible. 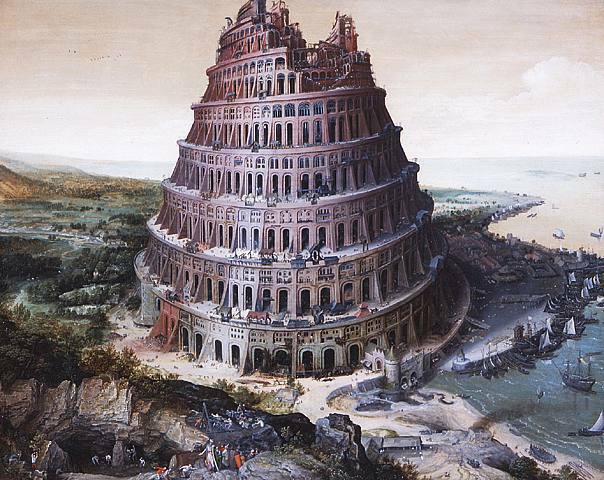 ‘Mystery, Babylon’ was a secret system of knowledge that an ancient ruler named Nimrod tapped into when he built the Tower of babel and Ancient Babylon. Under Nimrod’s rule, ancient man believed that the human race could survive and prosper by creating a worldwide government, economy and religion. Indeed, a crucial aspect of these Babylons was the fact that they comprised not one but three important attributes. As my co-authors and I pointed out in The Final Babylon, the Revelation of John states this plainly: “that great city is split into three parts” (Revelation 16:19). First, its preeminent attribute is the religious system that originated much of the world’s occult or “mystery” religions, later taught in secret societies as passed down through the ages (notoriously practiced in Rosicrucianism, Illuminism, and even today at least in part in most forms of Freemasonry). Secondly, there was the characteristic of a sophisticated economic system. The notion of money was invented, as was mathematics as a means to manipulate not just measure reality. (Numerology, the decimal system – “base 10” vs. “base 12” as used by the Hebrews – and the occult meaning of various numbers in fact began in Babylon). The authors indicate, “that despite the judgment against the Tower of Babel, the dark occult teachings of Mystery, Babylon were passed on from generation to generation through secret occult societies that arose in Egypt, Rome, China, South America and even America.” (p. 13) In other words, the lasting legacy of Babylon includes the occult teachings intrinsic to Theosophy and today’s New Age movement. This religion went global at the beginnings of recorded civilization. Thirdly, Babylon was characterized by political and military power enabling Babylon to become an empire of exalted stature. We know that from the sixth century to the first century BC, the great city of Babylon was the capital of many empires: Babylon itself was the first, the Medes-and-Persian empire that conquered Babylon the night when Belshazzar saw “the writing on the wall” was the second, and the empire of Alexander the Great and the Seleucid empire which followed (the Persian kingdom of the Macedonian dynasty that followed Alexander in the Hellenistic eastern empire) was the third consecutive empire laying claim to the city of Babylon as it capital. Remember also that the writers of the New Testament referred to Rome as Babylon in the New Testament, even after Rome swallowed up and extinguished the Greek empire (but not its culture – as we call the amalgamation of Rome and Greece the Greco-Roman empire). However, Babylon itself, biblically speaking, refers to the “kingdoms of this world” that oppose the Kingdom of our Lord and of His Christ. Babylon is the City of Humankind while Jerusalem is the Holy City, the City of God. In interviewing Paul in person, he explained that Babylon, the last Babylon of the Bible, comprises two distinctive realities. One is a “cosmic city” that represents the rebellion of humankind. It exists throughout time, it has been located in many geographical locations, and it has known many different leaders. However, this cosmic city incorporates a “spirit” and that spirit may be rightly called the Spirit of the Antichrist. It stands opposed to the God of the Bible – this is its unifying theme. And while many speculate that the physical Babylon on the Euphrates River in Iraq will someday be rebuilt and restored as a literal city that will constitute at least one of several capital cities claimed by a future, physical antichrist (aka the “Little Horn” of Daniel, “The Man of Fierce Countenance” and “The Assyrian” as well as over twenty other biblical names), McGuire indicates he believes there will be a literal, physical Babylon during the final days before Christ returns. He is non-committal on whether that city is in Iraq, Europe, or even in America (as in New York City or Washington D.C.), but he does not deny that it will be a physical municipality (and represent a country as great cities symbolically do). The Babylon Code contends that at the core of the socialist syndicate are wealthy elites, many of whom are consciously aware that they connect to genealogies that trace themselves back to Charlemagne (800 A.D.), the Roman Caesars (100 B.C. to 400 A.D.), the Pharaohs of Egypt (2800 B.C. to 300 B.C. ), and some believe, all the way back to Nimrod himself (2000 B.C.?). McGuire and Anderson don’t shy away from applying the often-used label “illuminati” to this cabal (despite its being discounted in popular culture and denied by virtually all academics). Whether employing the moniker illuminati or not, the label speaks to a creed consciously acknowledged and secretly avowed by the families that clandestinely believe they were established in pre-history by the gods themselves as the rightful anointed kings of the earth. Who are the families? The book doesn’t spell out the 13 names of these families, but many are easily guessed. Without exception, the names that McGuire cites in person dominate the Western world, America as well as England, Ireland, and the rest of continental Europe. No, the names aren’t Turkish, Saudi Arabian, or Persian. Babylon and the likely Antichrist himself do not appear to be natives of the Middle East although that view constitutes a popular argument among prophecy aficionados today. The authors are careful in drawing conclusions regarding several controversial topics that occupy the minds and debates of prophecy buffs at this moment. One: the book does not indicate that it is too late for the world to repent and therefore, we are not destined to see the world end on a particular day or even during a particular year. Date setters will be disappointed if such a one looks for an argument that spells out when the Lord returns. Secondly: the argument for the timing of the rapture does not receive quarter in this book. In talking to Paul in person, I know he has definite views but he is deliberate in avoiding the debate. He believes, as do I, that debating the timing of the rapture is a divisive matter that appears to do the Church of Jesus Christ more harm than good. Not that the scripture teaches self-contradictory rapture doctrine. It clearly teaches the rapture as part of the resurrection and together they comprise “the blessed hope”; but scripture can be (and certainly is) adduced to support numerous differing points of view. 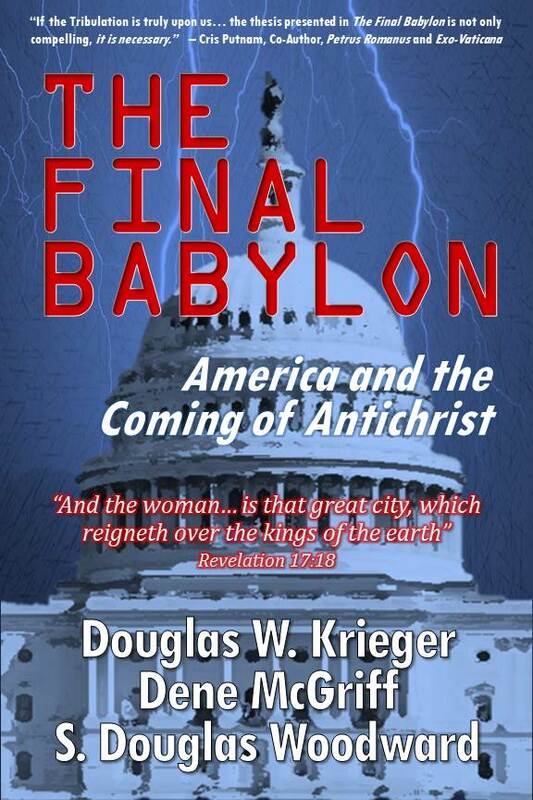 Thirdly: the authors don’t wish to point to any one city or nation and say, “This is the final Babylon of the last days.” They leave open the possibility that Rome, London, or some other European city (or an American one) will comprise the final capital of Antichrist. I would add that most scholars believe Jerusalem itself will be conquered for a time by Antichrist (see Zachariah 14:1-2) and may come to be considered his religious capital during his final moments on earth. I do disagree with The Babylon Code and with my friends Paul and Troy in this respect. And that is certainly clear to both authors since their book on numerous occasions, cites mine The Final Babylon, that explicitly argues America constitutes the physical country, and the megalopolis of New York and Washington D.C. is its economic and political capital. It is my considered view that the U.S. comprises the economic, political, and even to some extent, the spiritual powerbase of the Antichrist (especially if one properly understands the spiritual connection between the merchants and the Ba’al religion of Jezebel/Europa/Libertas aka the emblematic harlot that rides the beast and enslaves the souls of men). Of course, my co-authors Krieger and McGriff of The Final Babylon agree that Babylon represents the “cosmic city opposed to Christ” as The Babylon Code avers, but we aren’t afraid to point a finger at our country and lay blame to the evils we as a nation have committed, most of which are rather apparent since the time of the Cold War forward. We are plainspoken when it comes to why we believe the United States comprises Mystery, Babylon. We do, however, leave open the possibility as friend John Price (author of The End of America) does, that America may be a distinct mysterious figure, the “daughter of Babylon” mentioned in Jeremiah 50, 51; Zechariah 2; Psalm 137; and Isaiah 13. In fact, a lingering mystery exists whether there is a distinction between this “daughter of Babylon” that appears to be destroyed even before the Great Tribulation and thus, before the final destruction of “that great city” (as depicted in Revelation 18:2, 8), when it is burned with fire by the ten kings and the Beast himself. 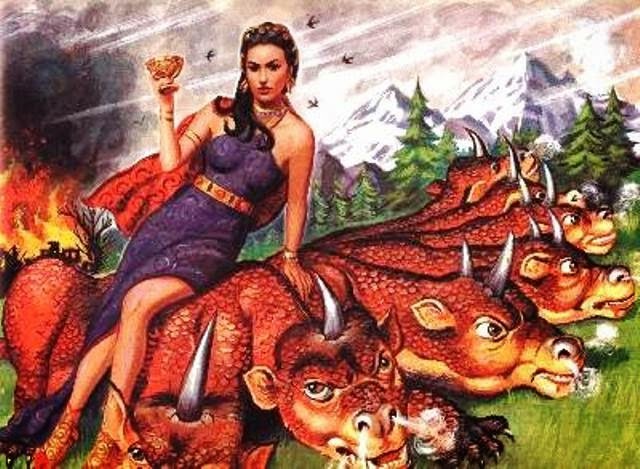 We read in Revelation that the kings of the earth and the Antichrist, despite their intimate relationship with the harlot will hate this “woman that rides the Beast” whose forehead is emblazoned with the name “Mystery, Babylon”. In fact, perhaps one of my few criticisms of the book is that the passages describing the daughter of Babylon aren’t strictly addressed. Furthermore, the connection between the merchants of Tarshish (Ezekiel 39 and elsewhere), the King of Tyre (Ezekiel 28, which is also considered a description of Satan himself), and the name Canaanite (which literally means “merchant”) is not explored much in The Babylon Code at all. The whole argument we bring to the forefront in The Final Babylon regarding the historical connection of Tyre and Sidon, Canaan, Carthage, the Phoenicians, Tarshish, and the settlement of North America by the “young lions” of the Merchants of Tarshish (generally seen as the colonies of the English and probably the Spanish) supplies a highly compelling argument for why America is rightly identifiable as the fulfillment of the prophecies of last days’ Babylon. Even so, may the Spirit of the Lord revive us again after impressing upon our nation that we must repent and do so right now! For if we do not, the judgments of God—the seals, trumpets, and bowls of wrath described so graphically in the book of Revelation—are at the door ready to overwhelm us. Also PLEASE SUBSCRIBE to my blog to get an email copy sent automatically to you when published at faith-happens.com. Email me @ doug@faith-happens.com. I’m available to speak at events too. Just mail me to inquire about dates and expenses! To visit my bookstore CLICK HERE. Buy two items and I ship 2-day USPS Express Mail.